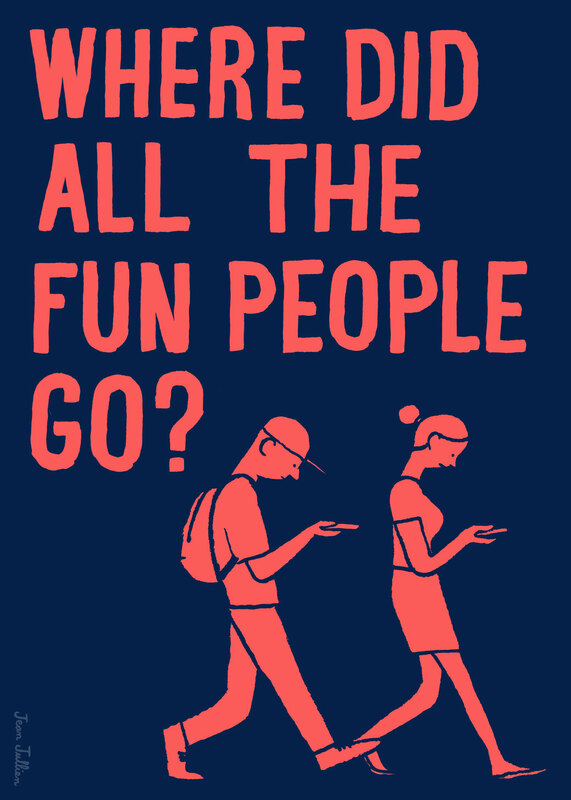 Where did all the fun people go? Well, to Redux of Course! We found this on Pinterest today and thought it was a perfect excuse to wish a Happy Friday to all and send out a reminder that Yulia Pinkusevich’s exhibition, Reversion, ends tomorrow, Saturday, May 4th! For more information about the above print, please visit Sergeant Paper. This entry was posted in Exhibitions and tagged Jean Jullien, Redux on Pinterest, Sergeant Paper, Yulia Pinkusevich. Bookmark the permalink.